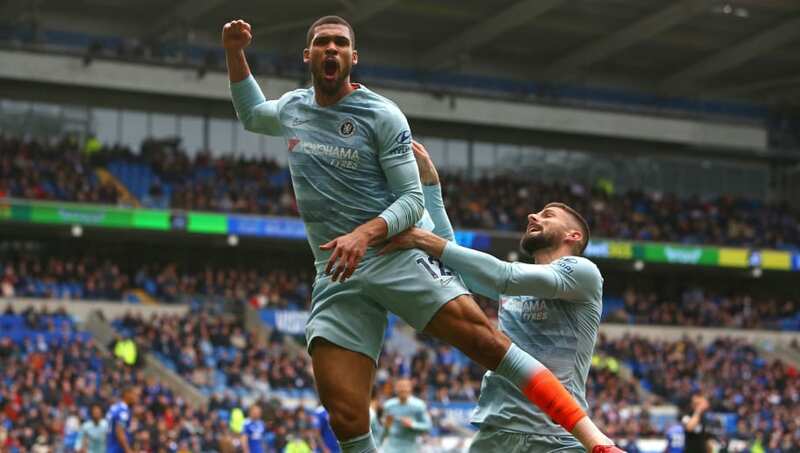 The Bluebirds appeared relatively comfortable in holding their lead with ​Chelsea continuing to struggle in their attempts to break the home side down, but the visitors cranked up the pressure in the final ten minutes. Cesar Azpilicueta, from a clear offside position, pounced on Marcos Alonso's flick-on from a corner to turn home the equaliser on the 84th minute. ​Cardiff's performance was some way short of a vintage display of exciting football, but that was never going to be the Bluebirds' approach to facing Chelsea at home. The game demanded a typically resolute, plucky and disciplined display from Neil Warnock's side, and that was exactly what they delivered. Maurizio Sarri made a number of big calls in his team selection on Sunday. The Italian opted to leave star men ​Eden Hazard and ​N'Golo Kante on the bench, whilst also resisting calls to start emerging star Callum Hudson-Odoi. Cardiff face another huge test next time out in the Premier League when they take on champions ​Manchester City on Wednesday before travelling to face ​Burnley at Turf Moor next Saturday. Meanwhile, Chelsea follow up their trip to Cardiff with two consecutive home games at Stamford Bridge, with ​Brighton first up on Wednesday, followed by London rivals ​West Ham next Monday.